Reprise Construction Services is a full service residential construction firm. If you've been thinking about a new home, makeover bathroom, kitchen, or bedroom, or you want to re-purpose your cabinetry and casework, or if you just want change, we realize that you could have a ton of questions, and there's really no where to get any answers without coming out of your pocket. So we'd love to give you a free sketch for your next project to get you off the ground. We've been building for over 30 years. We offer design, CAD, and building services for any project. So contact us right now, and let us share some time with you. Call us now or drop us a note on our contacts page. Maybe we can help. planning a project is the hardest part. there's so many things to consider. you know what you want, but the plan you have from the home improvement store just is not enough. well, you know that clerk gets paid whether you are happy or not. Contact us and we'll give you a no cost professional drawing from a professional builder. Back in 1991, Ben sketched my home by hand, He, Sandor and the crew built for our family the home we still reside in. We raised our family here. I am a blessed man because I don't have any "war stories" to tell about the building process. Ben has helped us remodel along the way as well. He is truly gifted. I recommend him for his integrity and skill for doing beautiful and long lasting craftsmanship. Reprise Construction is fantastic. Ben helped us work out the design and flow from our den into our new master suite. His crew repurposed old cabinetry for the bath and designed a sweet walk in shower. The craftsmanship and showmanship is spectacular. Ben's definitely our go to contractor and craftsman. Some time ago we had a wicked leak in the kitchen wall that damaged our cabinets. He rebuilt the cabinets using the original face frames to preserve the look and feel of the kitchen. The rebuilding work was impressive. His crew did a fine job on replacing the floors as well. 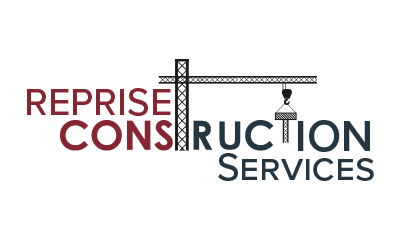 Reprise Construction Services has been such a life-saver to us. Ben stood right by our side during our recent addition to our home, helping us in any way possible and offering his advice and expertise throughout the entire building process. He and his team have now stepped in to assist in building our new garage. They are an integral part of turning our visions into reality. We can't say enough about Ben's character and work ethic, his willingness to make time for us on our schedule, and his whole crew's down-to-earth demeanor. Our relationship with Ben and his team continues to grow, and we hope to utilize their services for all of our future home project needs.